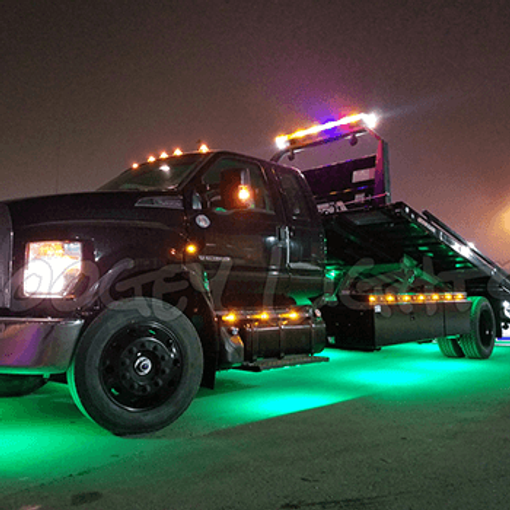 Boogey Lights® super bright Heavy Duty LED light strips are ideal for working truck commercial applications including tow trucks and wreckers. Rugged, durable and extremely bright, our Heavy Duty LED strips provide maximum visibility. Typical placement is along each side of the truck in the existing channel commonly found on most tow trucks and wreckers. In many cases our Heavy Duty LED strips can be used as a direct replacement for factory installed lights using the existing wiring, access holes, switches and flashers. We offer customization capabilities too for unique situations.